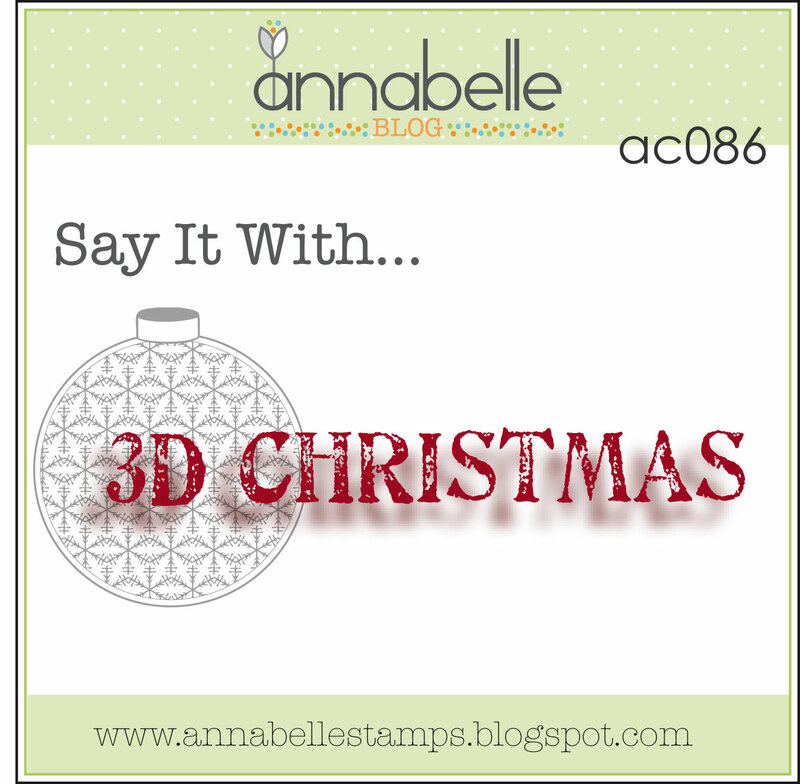 Today at the AnnaBelle Stamps blog we're challenging you to Say It With... 3D Christmas! 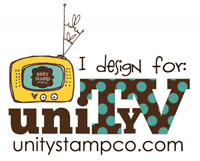 Come back at 4pm for a New Release Blog Hop! 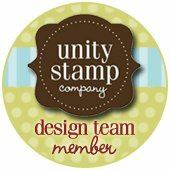 I'm entering this into the Moxie Fab Movement Challenge. Beautiful! 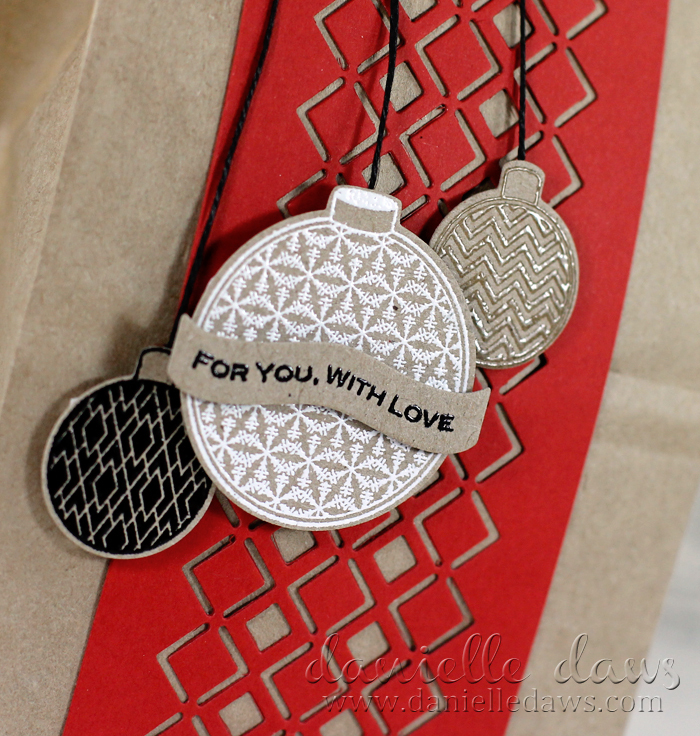 Love the border diecut using the red cardstock. Complements the baubbles very nicely. Love it! I would be a happy camper if I received your gorgeous gift bag, Danielle lol! 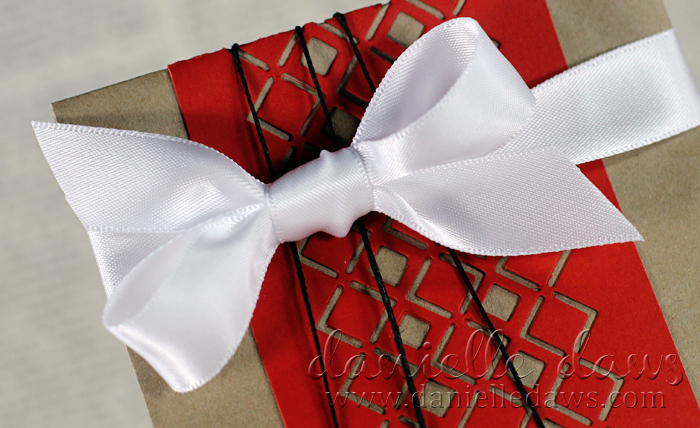 LOVE that red panel and your stunning bow, love it!!! Gorgeous Danielle! 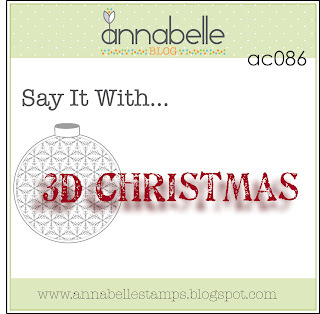 Love the red on kraft, it feels so festive, and doesn't the die cut border look amazing! What a great bag. Love it. Thanks. Absolutely, stunningly, beautiful! Gorgeous work, Danielle. Oh la la. This looks so festive and elegant. Great job Danielle. 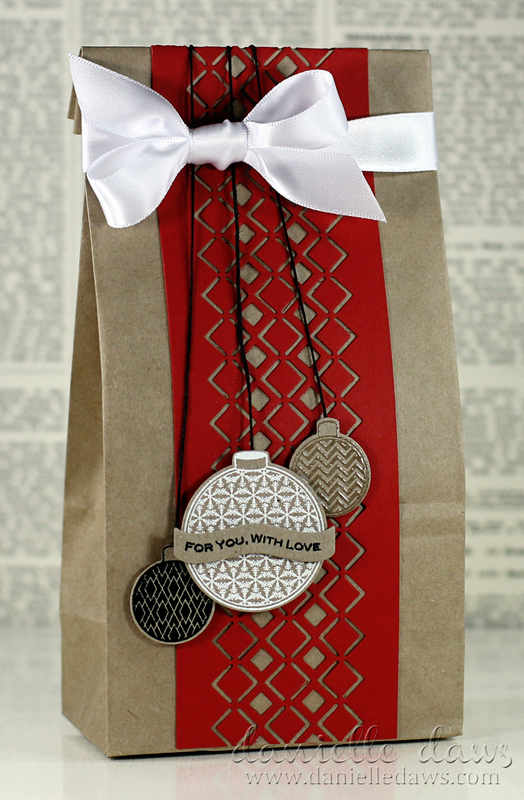 The craft paper and neutral colors on the ornaments really allow the red "ribbon"
I would love to receive a gift in this stunning packaging!